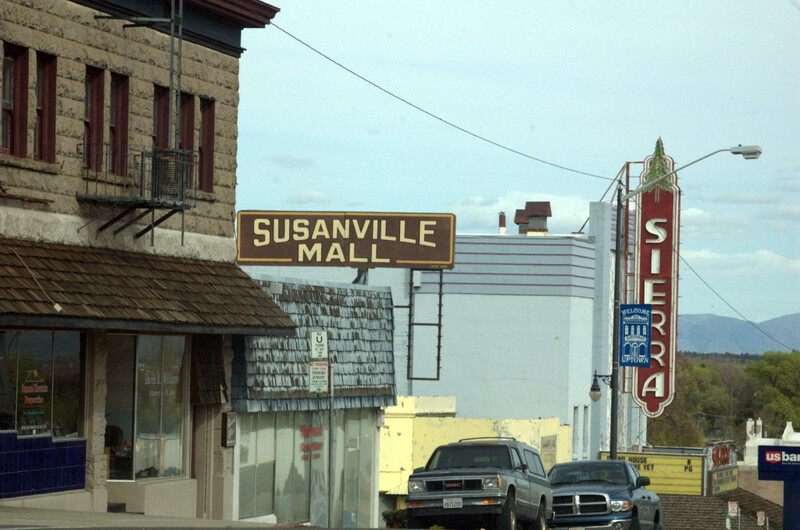 The last couple of times we came through Susanville, I had thought the town looked cute and wished we’d made time to stop and check things out. This time, the place looked seedier. I don’t know if it’s having my Reno friend’s opinion of the place in my head, or if the town has really changed so much since 1.5 years ago. The main street is all boarded up and closed down. The only businesses open were two Chinese restaurants that both looked fairly busy at dinner time. 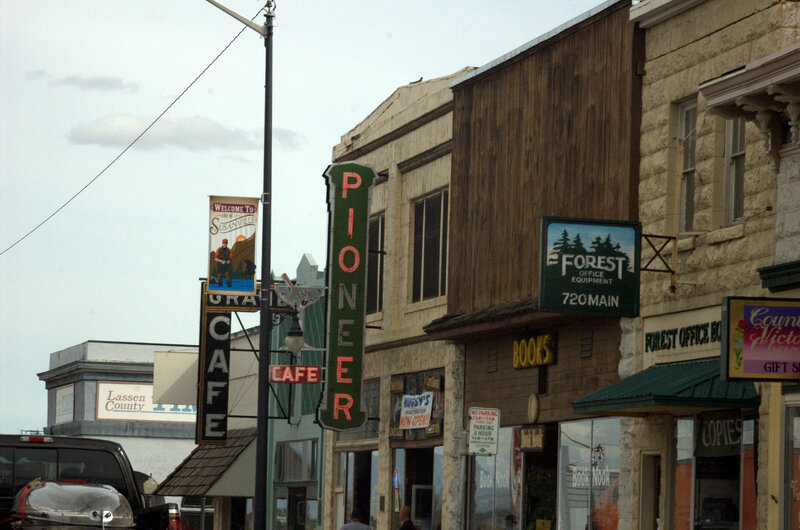 These restaurants are usually the last type to stay in business in a dying town. I’m guessing it has to do with low overhead, and a strong work ethic. Coming from a city with high standards in Chinese cuisine, I have an aversion to these low end places while admiring the way they manage to hang on, when everyone else has given up. 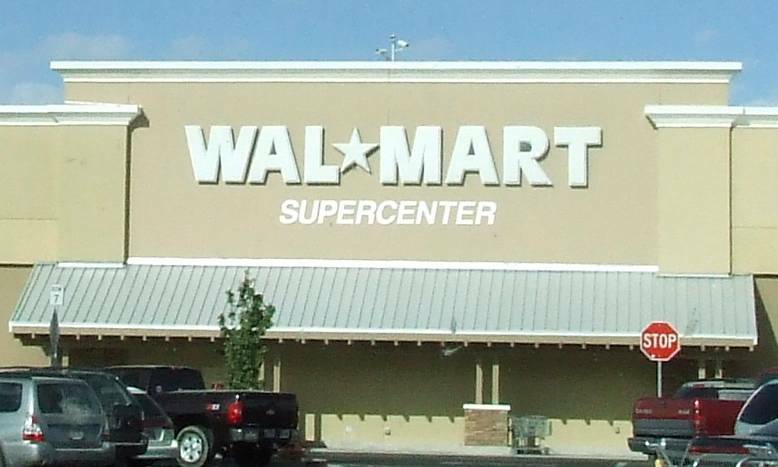 Down at the south end of town, there are more businesses open around the Walmart. We pulled into the lot to spend the night. The last time we stayed here, the place was full of Snowbirds. This time we were the only RV in the lot. I worried that might mean they were no longer allowing RVers to overnight here, but when Harold went in to ask, they said we were welcome here. I’ve gone through half a bottle of the Fireball Whiskey I bought last weekend. I’d looked for a new bottle in the Yreka Walmart, but they were all out until Monday. Their alcohol shelves were so empty I was worried I might have a problem finding it anywhere. I figured I’d check every place we stop. I walked in behind a young guy who looked about 18 years old. He was a little pudgy, with tight ringlet curls all over his head. He walked with his arms held out from his body and a swagger, as if portraying, through body language, that he was tough and cool. I noticed he had one arm of his t-shirt pushed up, and could make out the outline of a line tattoo. I wondered if it was real or drawn on. As I followed along behind him, he saw two young girls walking towards him. His hand snaked up to push up his sleeve. It fell down. He pushed it up again, but it slipped again, so he left his hand there, holding it up. It was so obvious and so amusing. My heart went out to this awkward young boy. The girls didn’t even notice him. They swished right on past, as if he didn’t even exist. This morning when Harold took the dogs for a walk, he saw a couple of young people sitting on the grass, with a sign that said “Burning Man”. The young man was playing a violin. We’d already discussed that we’d keep an eye out for anyone hitching there. Harold came back and asked me if he should go over and offer them a ride, so I gave him the go ahead. I watched him walk over to them, and shake hands. I saw a third person shake his hand and was worried we might be really pushing it for space. As it is, with two extras we’d have to move the dogs places around and put more gear in the back. I figured, if they could take the squish, we’d make it work. They picked up their gear and followed Harold back to the trailer where they introduced themselves. Shyane is 19, a fellow Vancouverite artist. She does henna, makes wire wrapped jewelry, artsy clothing, and does fire spinning. Haze is from Indiana, and has been travelling for the last year or so. They met in San Francisco about two weeks ago, and are now travelling to Burning Man together. It was just before noon. We told them we’d not be leaving until about 3:00. They sat around and chattered on at us, and I was feeling we might have made a mistake. They were nice and friendly, but quite immature, and we really needed to be left alone for a few hours. Eventually they got out so they could go pan-handle at the Walmart entrance. A while later they came back, with a bag full of junk food. Five minutes later two police cars showed up. “What’s going on here?” He called through the screen door. I got up and walked to the door. “Ummm just sitting here talking. Is there a problem?” I opened the door to see the other officer and a young guy standing behind them, arms crossed over his chest, legs spread wide, a look of arrogant disdain on his face. He wore dark glasses, a camouflage t-shirt and his jeans were tucked into his boots. “No, pan-handling is legal here, but we got a report that you were being aggressive, which is illegal.” The cop responded. I was feeling a mix of emotions. Horror at being put in this predicament, tinged with aggravation. There is no way these two were being aggressive. We’d seen them out there and they were just sitting there with their signs and playing the violin. By this time I figured the arrogant kid was probably the person who had called the police. I also think the big problem was seeing the two pan-handling and then coming into our trailer. I can just imagine the talk. “Why are they begging if they have that truck and trailer? They don’t need help! We should call the cops!” It’s a classic example of poor people picking on the poorer people. The cop gave them both a lecture about not being aggressive which they both agreed they never would be. I told the police we were giving them a ride to Reno and would be leaving in about ten minutes. They left and the uptight arrogant dude sauntered off like he’d just saved the world from imminent disaster. In hind sight, I wish I’d said something along the lines of “We just met them a few hours ago and they haven’t even asked us for anything. There has been absolutely no aggressiveness from them. They’ve been nice and polite.” I feel like I should have stuck up for them, but I was aghast and also a little embarrassed at being in this position at all. It was definitely an experience.